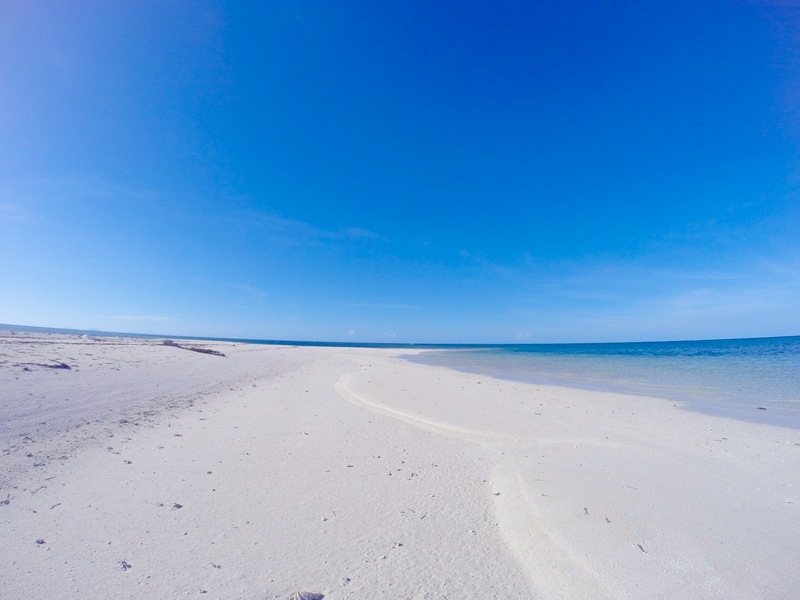 I’ve been searching for the best beaches in Negros and I’ve definitely found my one true love. 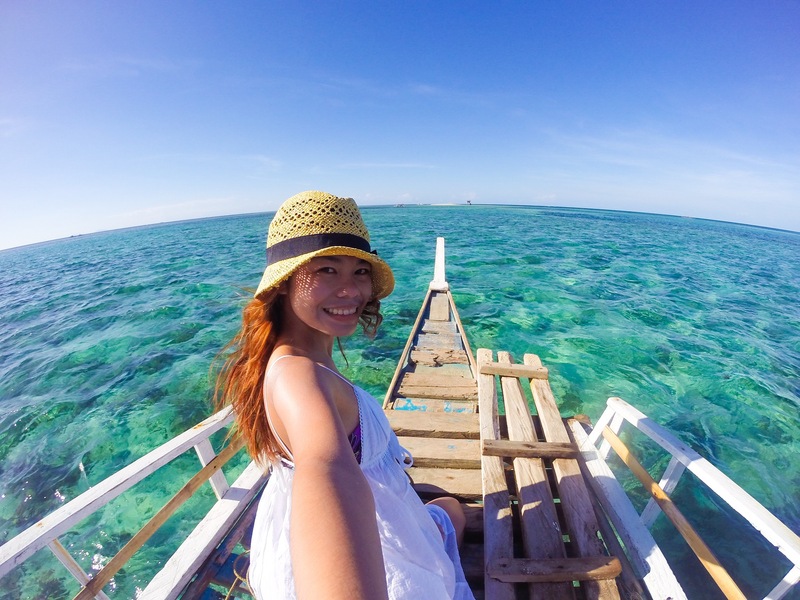 Just a short road trip from the capital of Bacolod City, the rich marine life of Sagay City is just an easy reach. 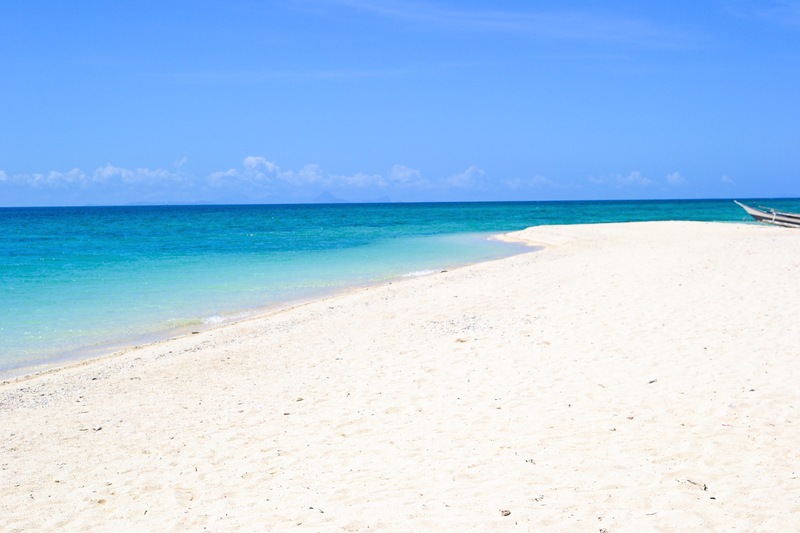 Unlike any other beaches where its remoteness and virginity can only be experienced with the hustle of long travel time, this place has maintained its quality due to the strict rules implemented by its tourism and through the cooperation of the tourists to limit overcrowding and unmanaged waste disposal. 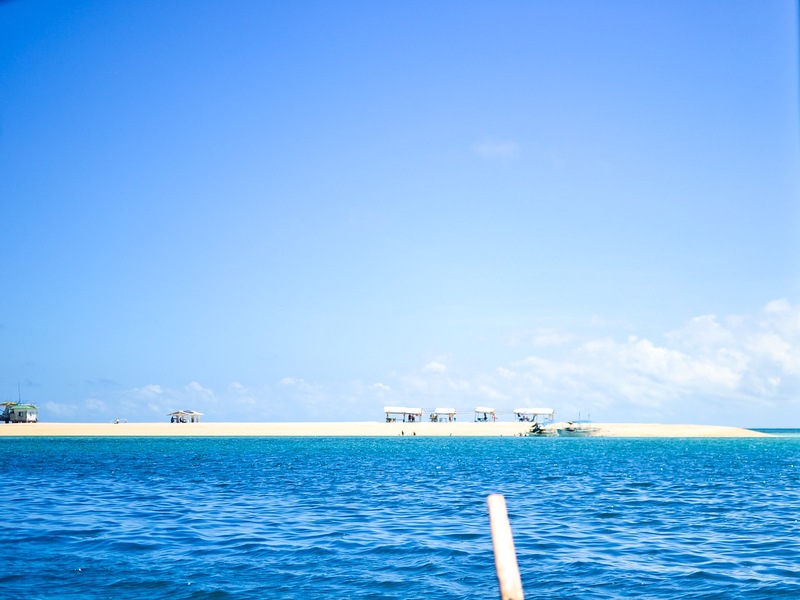 Sagay City has the largest marine reserve in the Philippines enveloping 32,000 hectares. 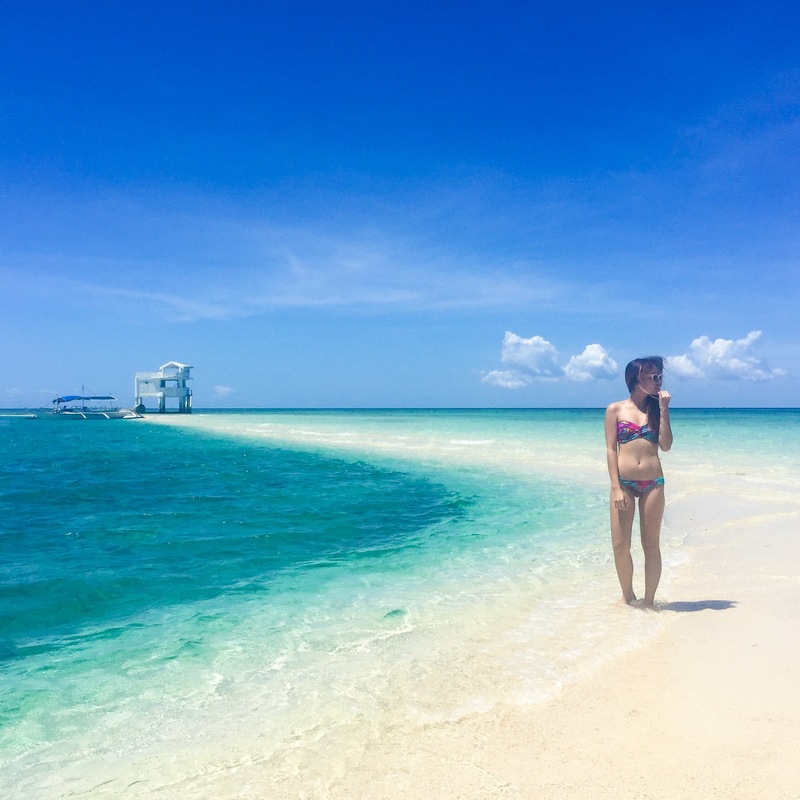 With its main attraction, Carbin Reef, it has caught the attention of beach bummers craving for white sand and clear waters. However, what has intrigued us is the unplugged attraction in Panal Reef. 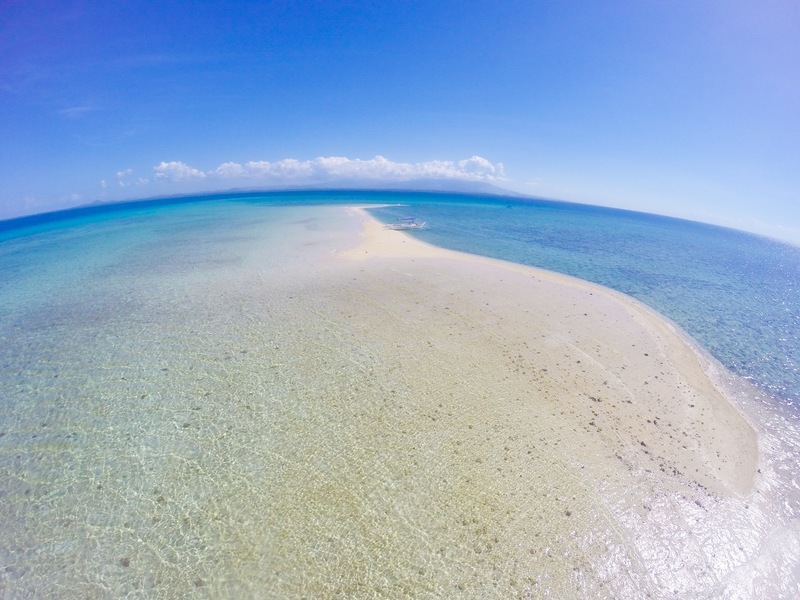 When the famous Carbin Reef reaches its maximum capacity, tourists are then directed to this amazing destination. In our case, our target area from the tourism office is this place. If ever you wish to visit the other islands as well, just inform the boatman and negotiate some additional fees. 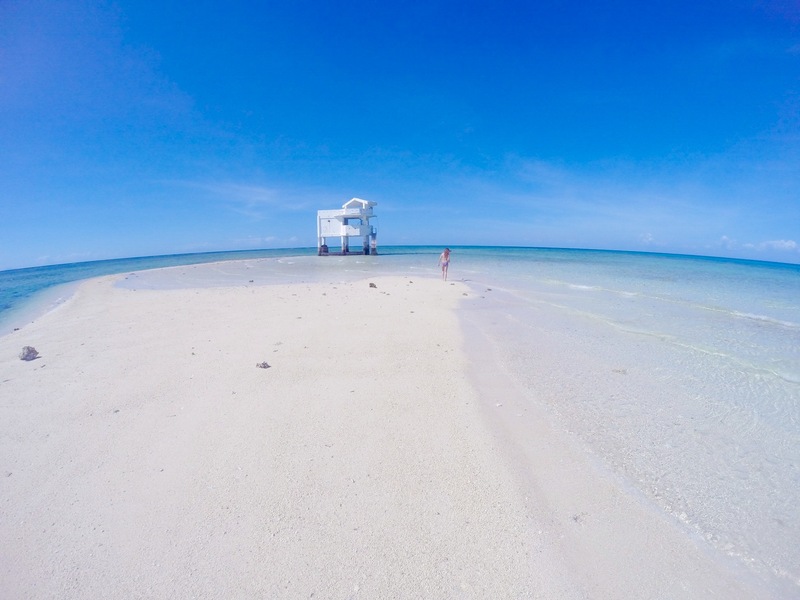 After 40 minutes of travel, you can witness a long stretch of white sand bar reflecting the transparent and clean waters of Panal Reef. 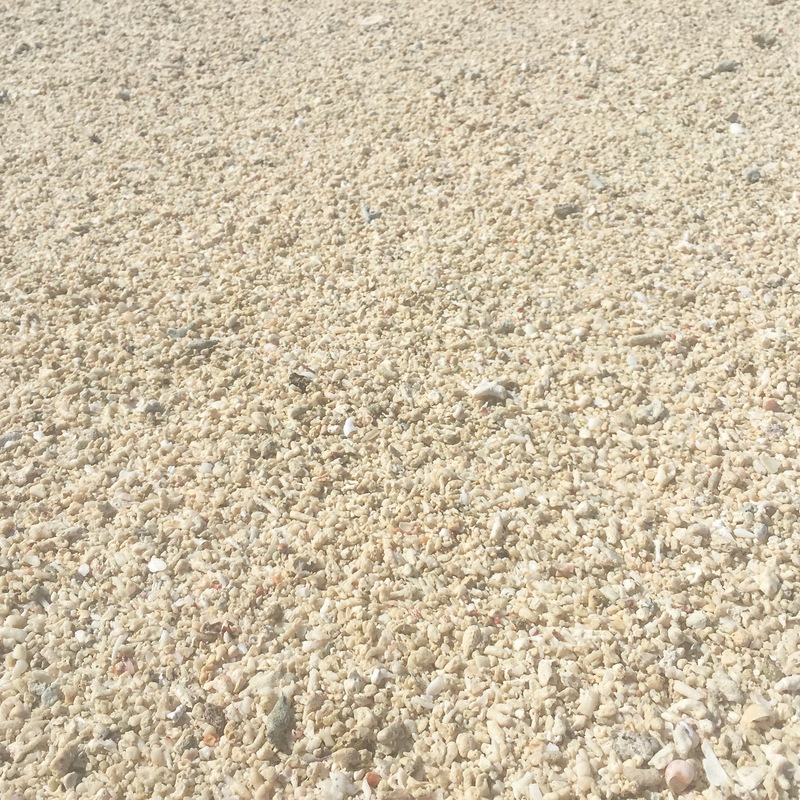 Even on low tide, the beach is submerged in water but only to a minimum level of about half inch. 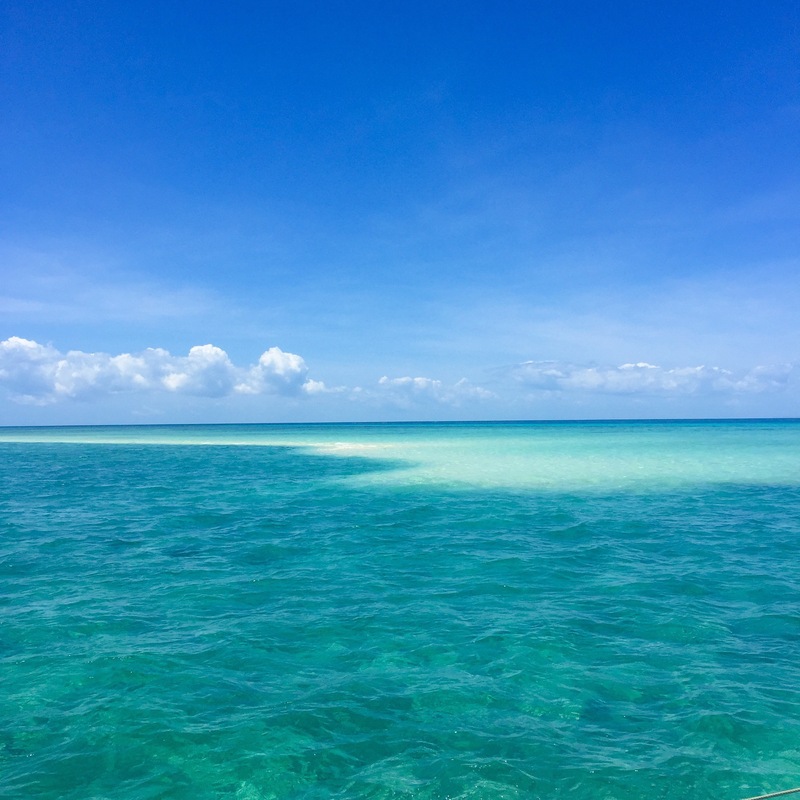 The only thing that protrudes is the fine stretch of white sandbar that is so thin, the waters in opposite ends meet. 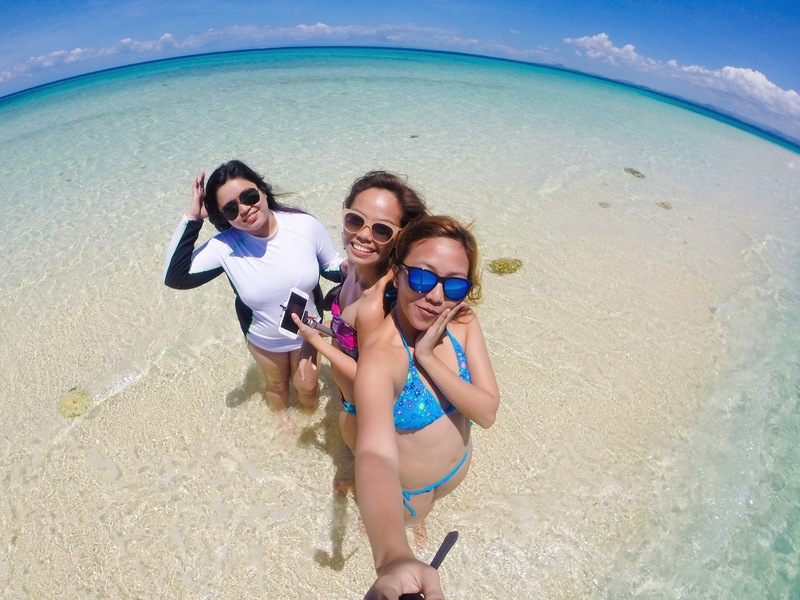 Its sandbar is similar to the Bantigue sandbar in Islas de Gigantes but with clearer waters and whiter sand. It is a coralline island so one can expect the sand not to be fine but to have little corals instead. 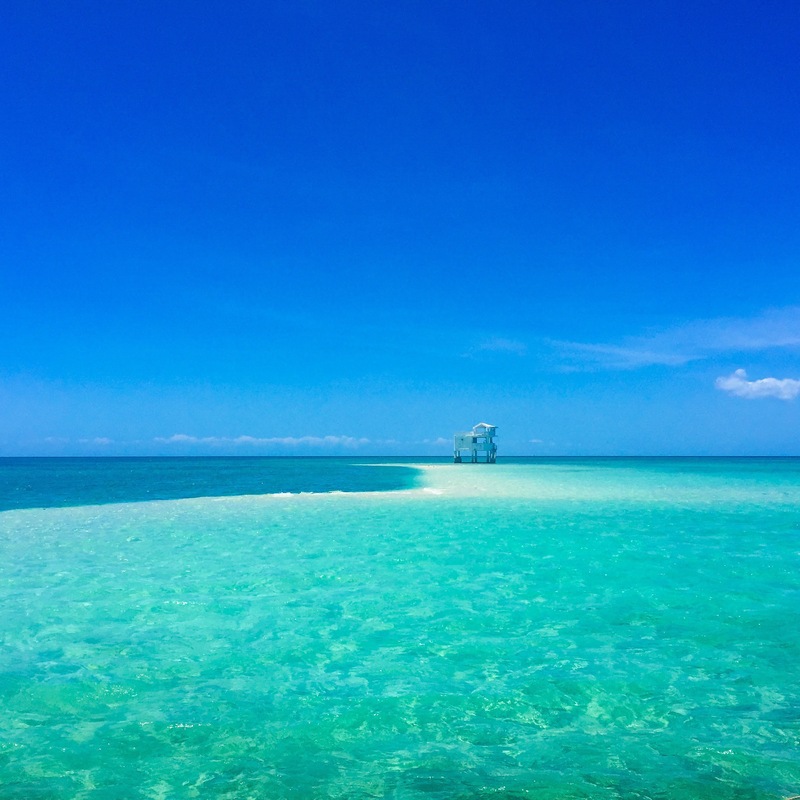 It is with pure luck that we got to take a glimpse of this attraction on low tide because otherwise, everything is submerged and you can’t appreciate the beauty it has to offer. 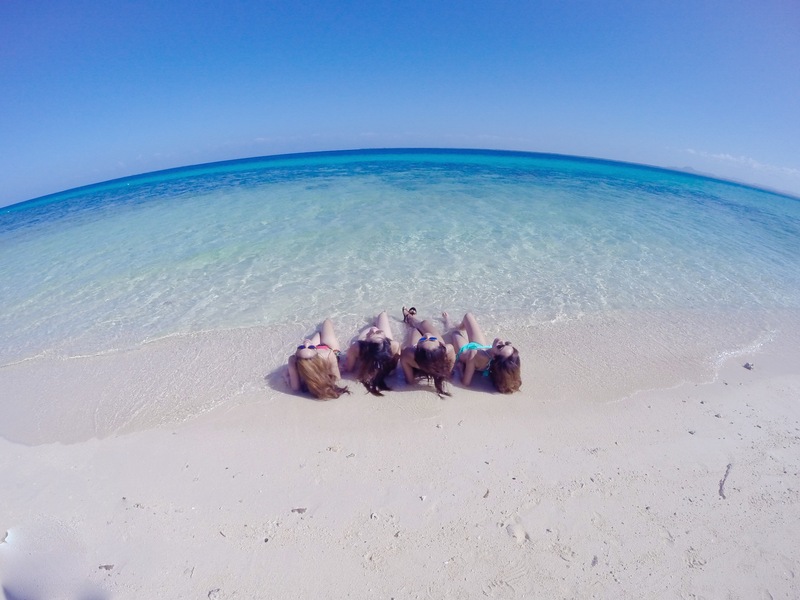 My friends went for a swim as I wander around to take pictures because I had my period. There were plenty of sea creatures under water. 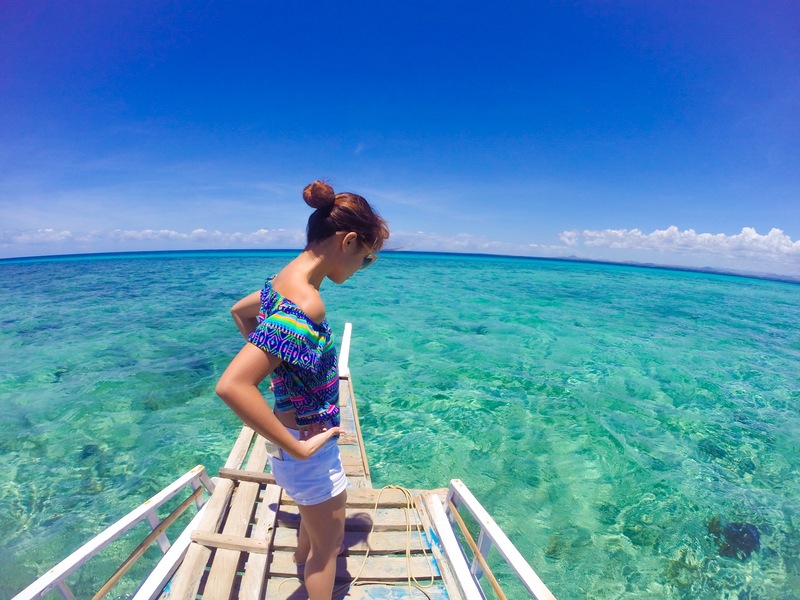 It was just amazing to know that you can enjoy snorkeling and watch the colorful fish even when you’re just near the beach. 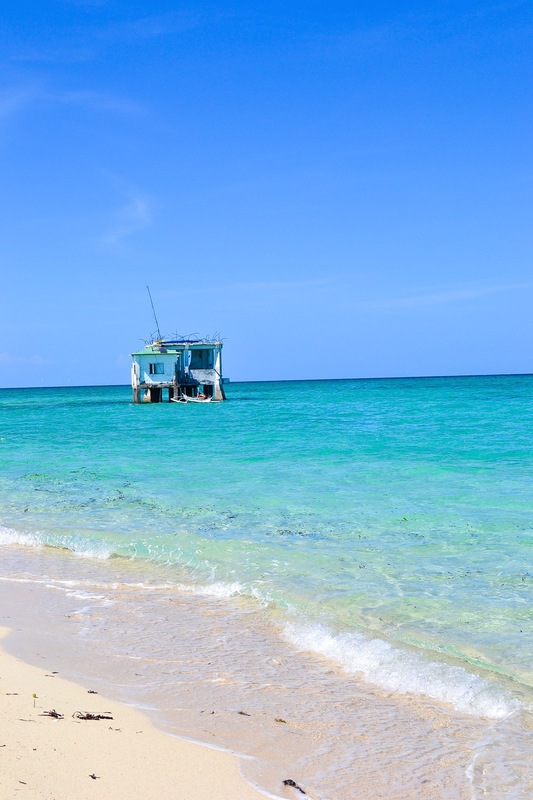 At the end of the white sand stretch, there is a watch tower with two floors wherein you can stay for the day. They charge at a minimum fee of only 300 pesos. One must be careful in going up to the tower because the surface of the stairs can be slippery. There are railings for your added security. On the first floor, there is a bench circling the area and there are comfort rooms and a small kitchen for the two watchmen. The topmost level is a wide area for your panoramic view of the island. There are also tables and chairs where you can eat in and enjoy the day. 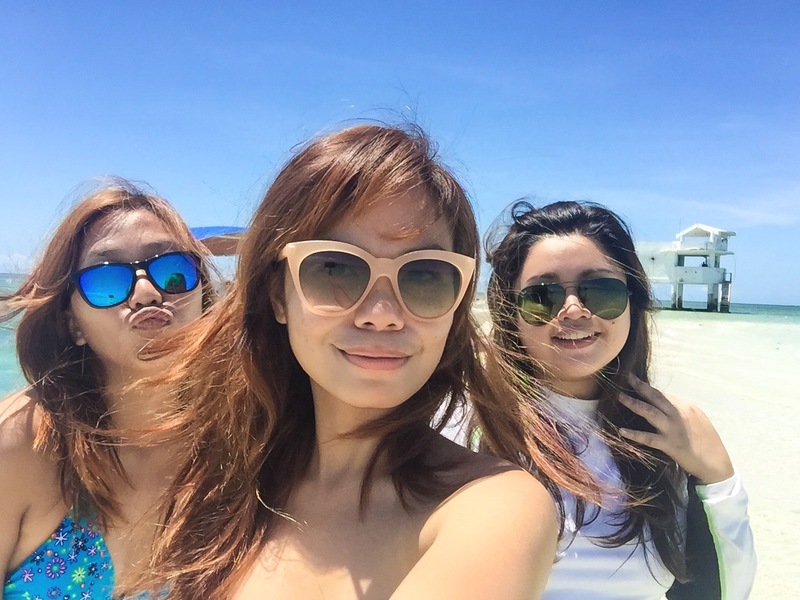 We borrowed a one-eyed binocular from the watchmen and we spotted another island. It was so beautiful at long distance and upon negotiations with the boatmen, we had a good deal so we decided to check it out. 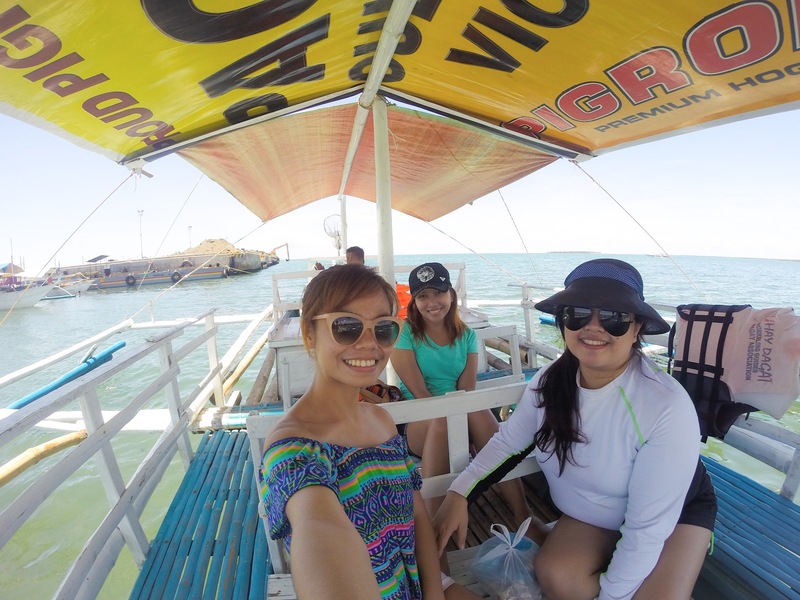 It was a twenty minute boat ride going to Maca Reef. 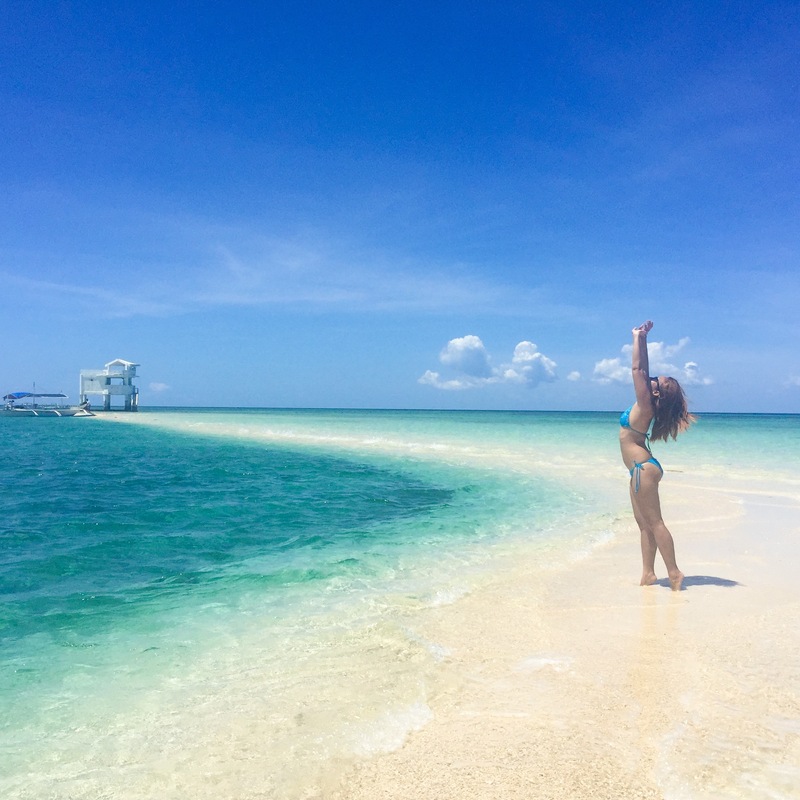 But God, it was by far the best white sand bar I’ve seen in my province. 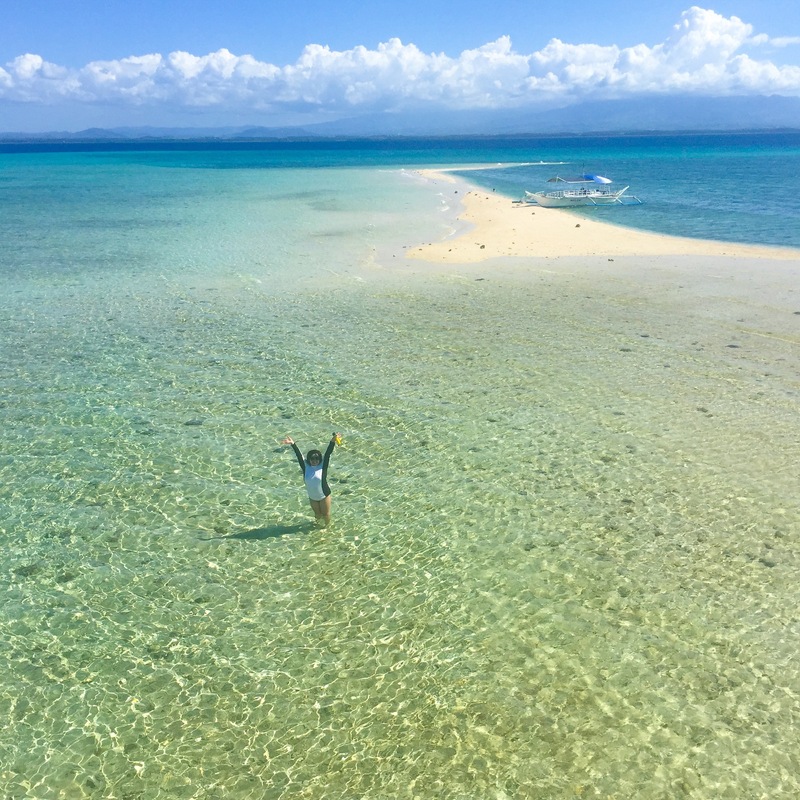 I have found the Naked Island of Siargao in Negros. The bar extends to about 250 meters and curves on the edge forming a picturesque view of the island. 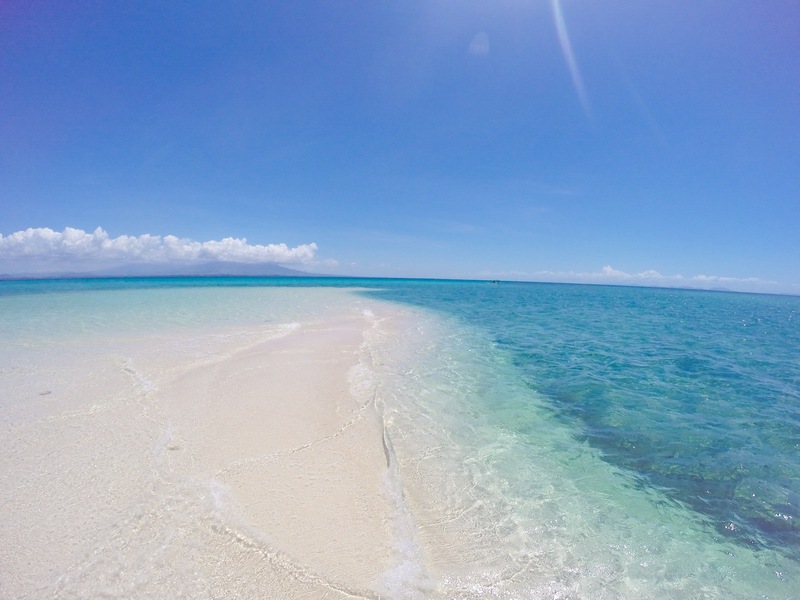 The sand is finer and whiter than Panal and Carbin Reef but it is grainier than Naked Island in texture. 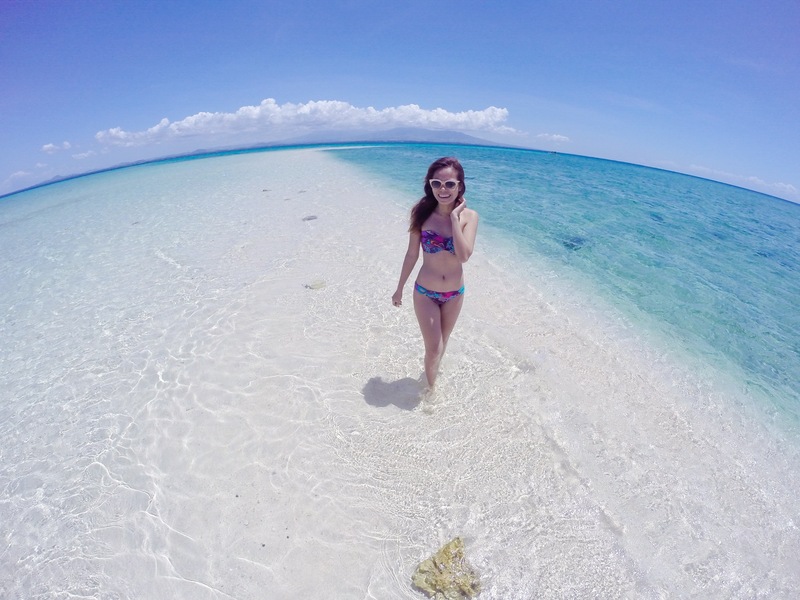 The beach is surrounded with corals and other water living things that you can see against the clear water. 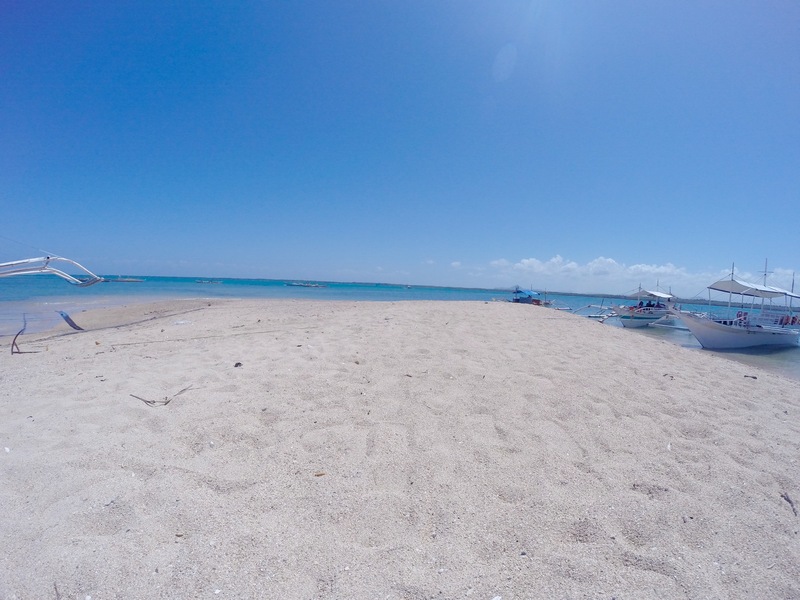 The water level is very low and you have to go far from the beach to get a good swim. 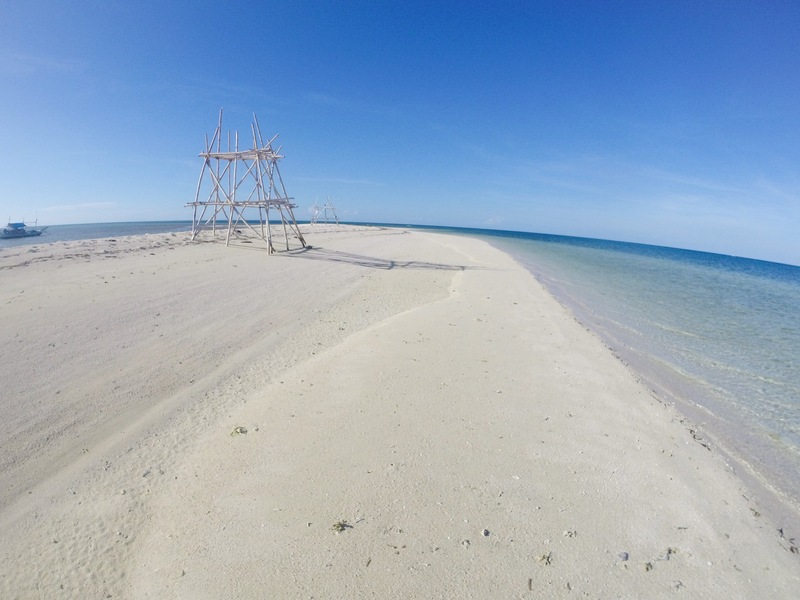 Similar to the previous reef, there is a small tower at the end of the beach. 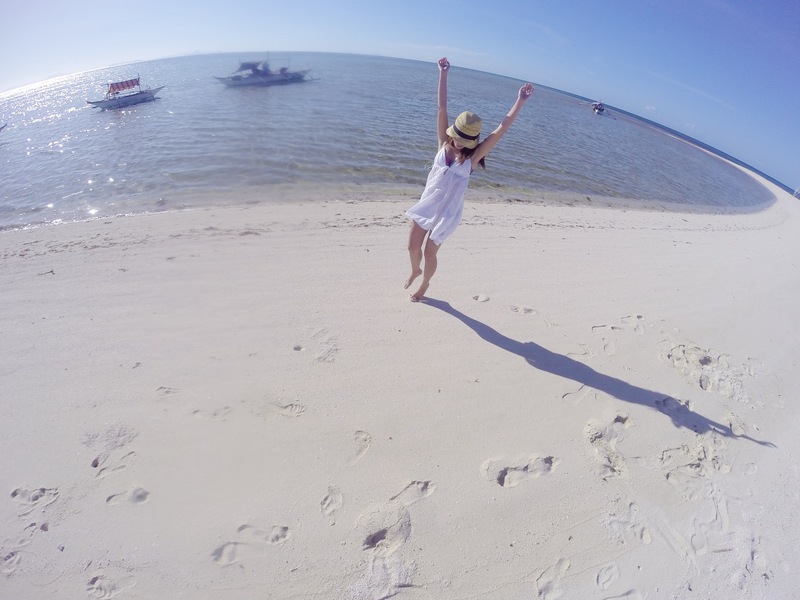 There are no cottages in the island and you can enjoy the candor all to yourself. We had some sunset session before we bid goodbye to this stunning semblance. 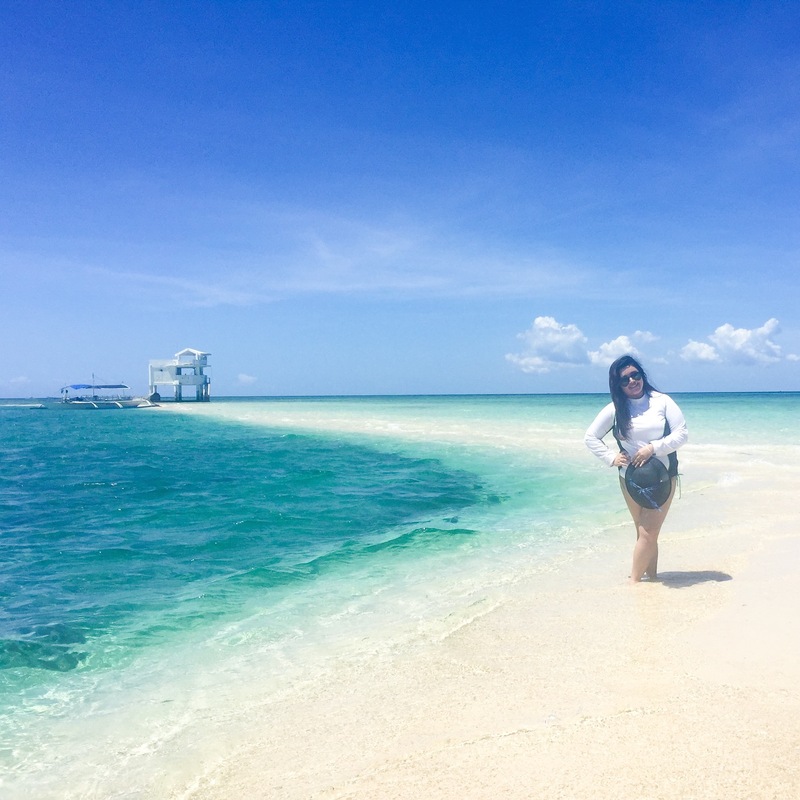 This tongue-shaped, white sand island situated in the center of the largest marine reserve in the country has definitely garnered tourists. 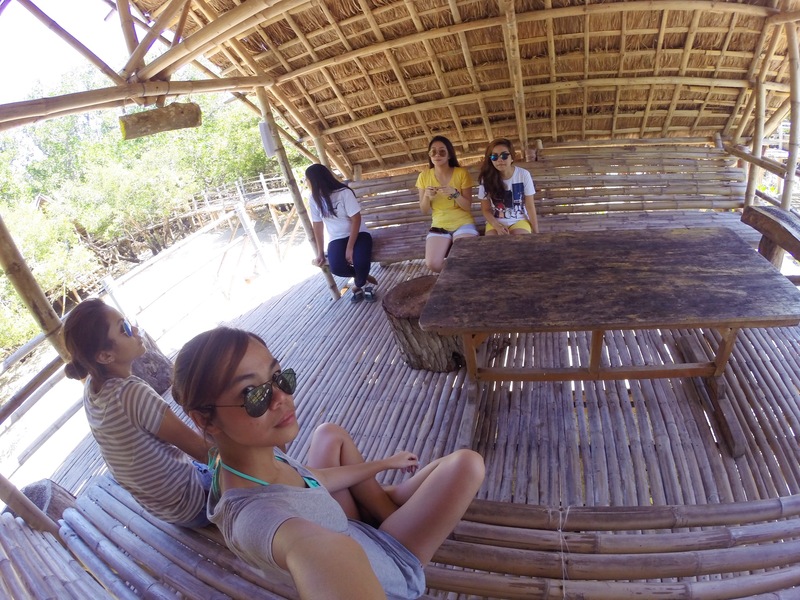 The beach has maintained its simplicity with only five cottages of makeshift wooden sticks. Each cottage is provided with a table and few chairs. 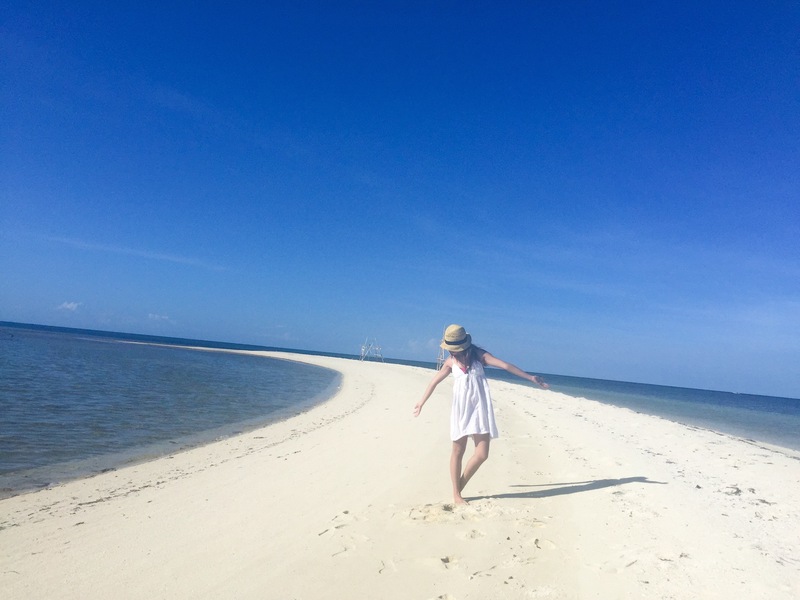 What makes this beach special is its cleanliness and natural vibe. Tourists are only limited to 70 persons a day so the environment and crowd is controlled. 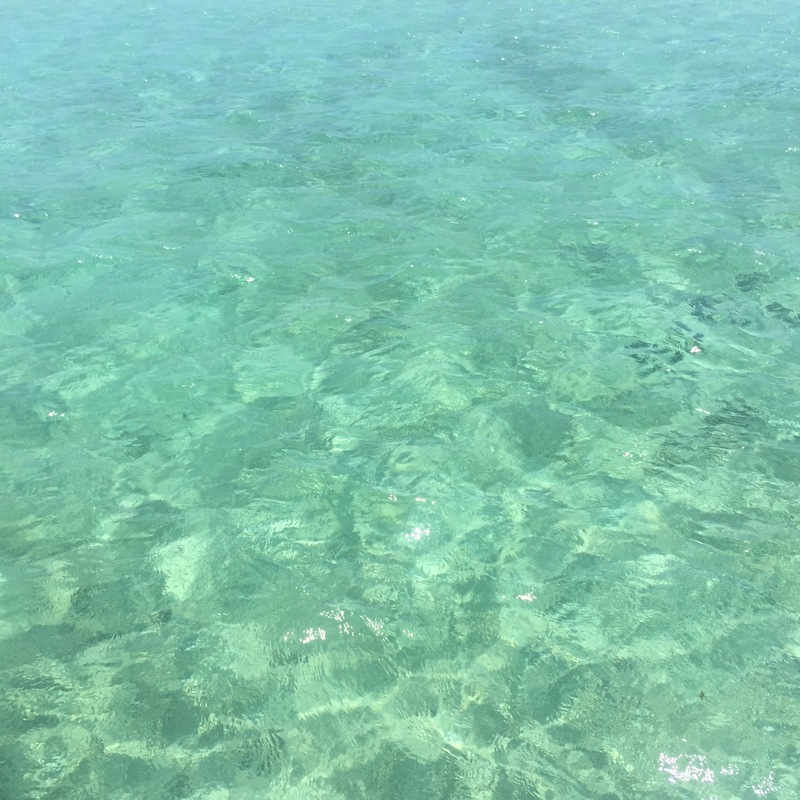 The water is very glaring and blue and the sand is white with a touch of beige mixed with little coral rubbles. 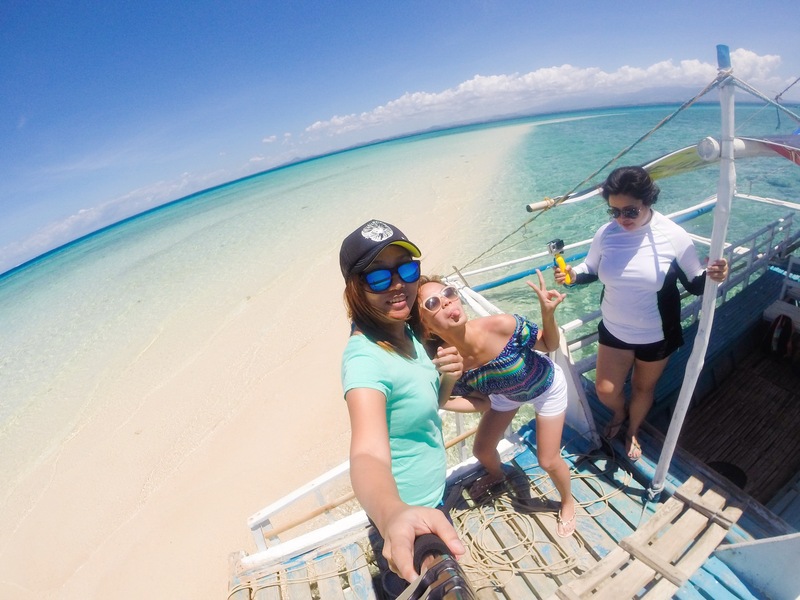 Snorkeling can also be enjoyed with a tour guide in the nearby waters. 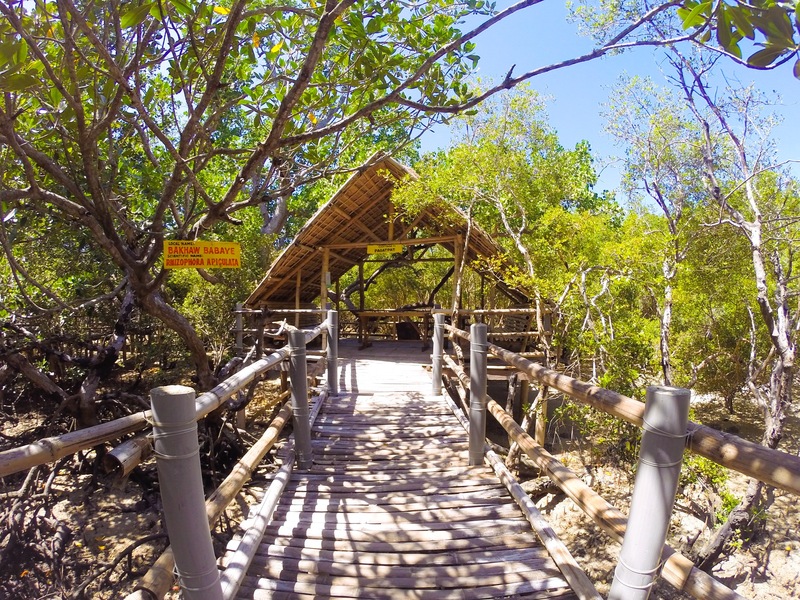 If you’re looking for a different experience, then head on to Suyac Island Mangrove Eco-Park. It’s very cheap and just adjacent to Carbin Reef. 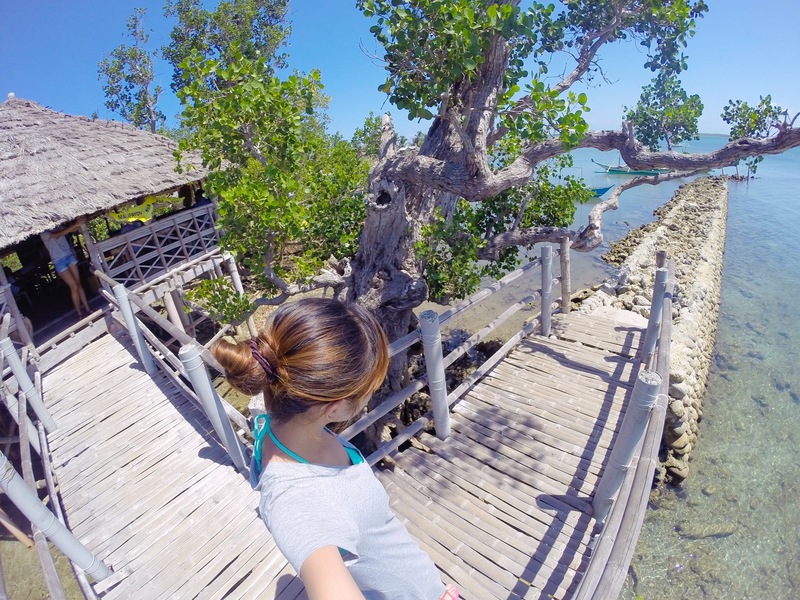 Plus, you get to see the oldest and biggest sonneratia alba mangrove in Negros. If you’re from the jump off point then it’s just an estimate of about 20 minutes travel time. There is a mini beach area from the docking point and you have to walk for at least 5 minutes to reach the entrance area wherein you need to register. 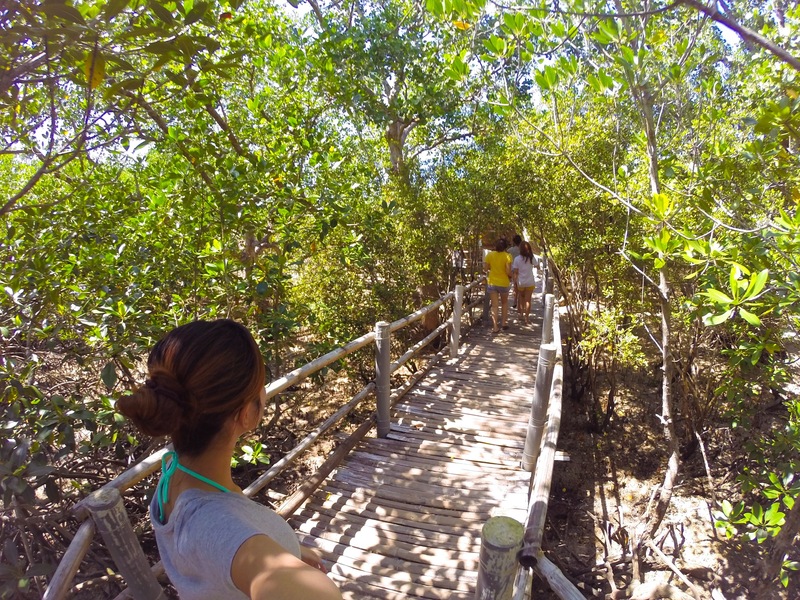 We had a little tour as we walked around the mangroves on their wooden path. 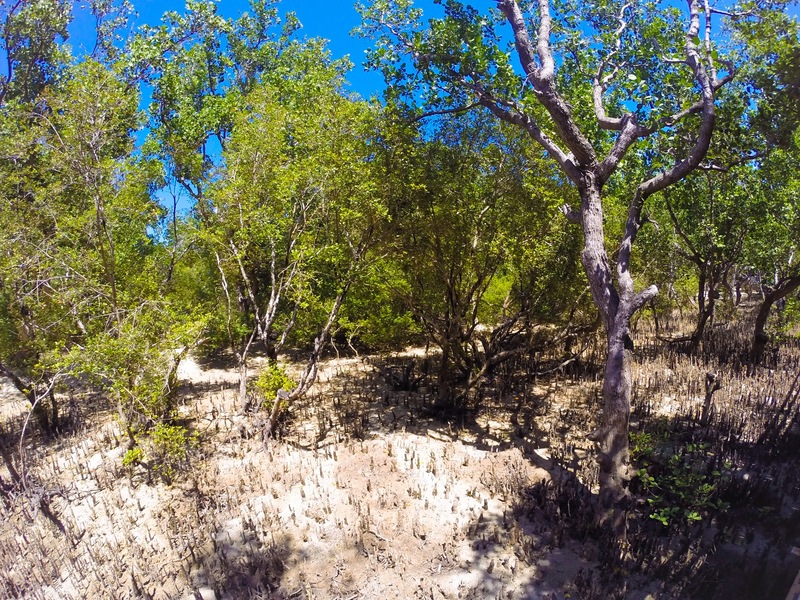 Near the boundary are the cottages wherein during the summer the water level becomes high and the mangroves are submerged in water. Thus, a mini dipping pool is naturally formed in the middle of the cottages. This place is best to visit during high tide. Make Carbin or Panal Reef your jump off point from the Tourism Office instead of Maca because it will be more expensive otherwise. Paying for additional fees to visit other islands will be cheaper. You can just stay in your boat if you opt not to take a cottage to limit your expenses. 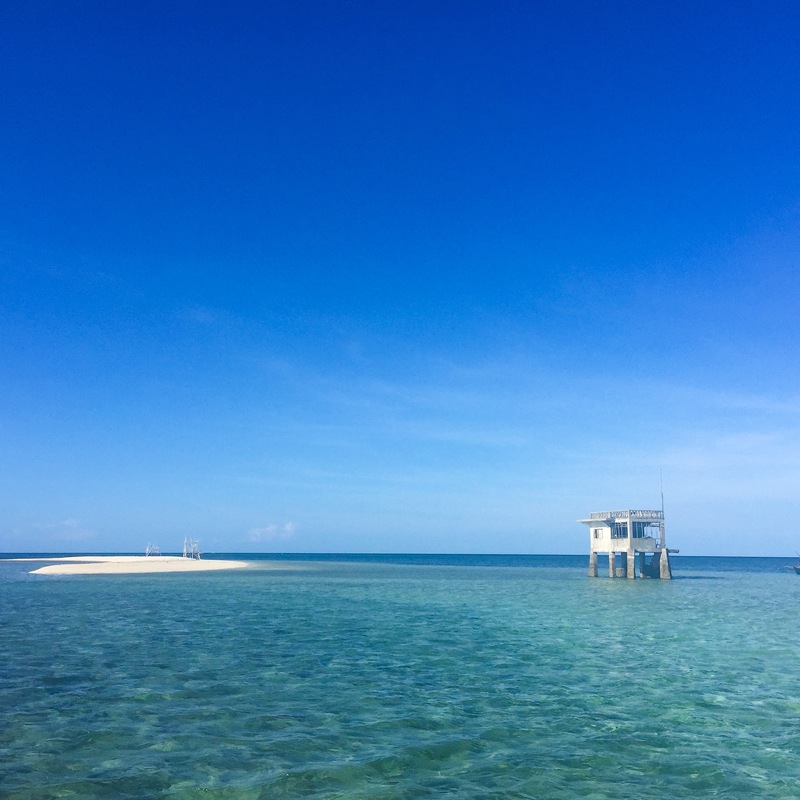 Plan your trip ahead of time or make reservations because the number of tourists are limited: 70 pax for Carbin Reef and 100pax for Suyac Island. Staying overnight is not allowed in all the reefs. Don’t take anything and don’t leave anything. Garbage-in and garbage-out policy is strictly implemented. Maximum of 15 pax are allowed to snorkel at a time. 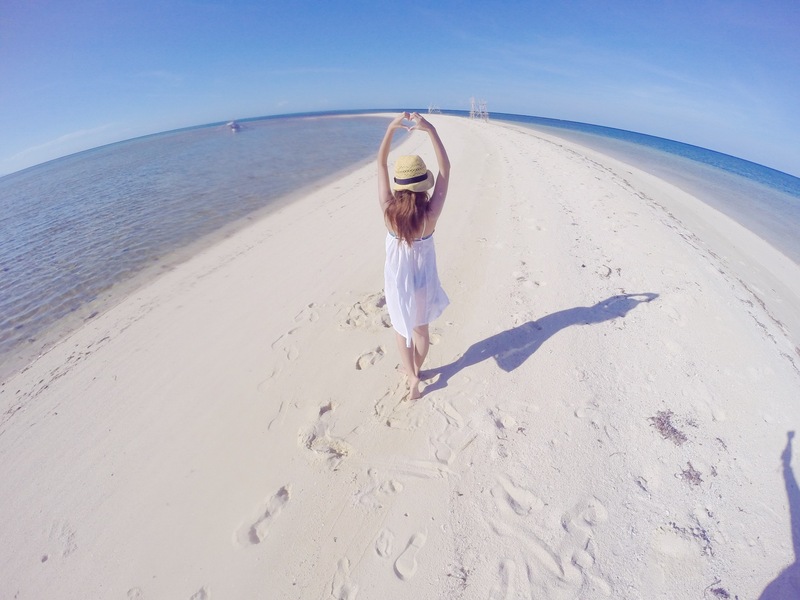 Please don’t step on the corals. It takes a year for a centimeter of corals to grow. 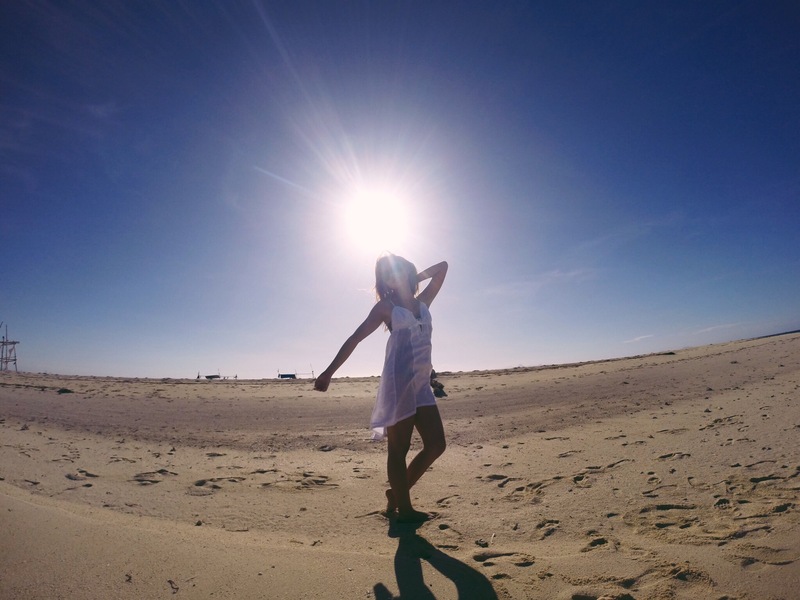 Apply sunblock liberally on your skin. Observe smoking only in the approved areas. 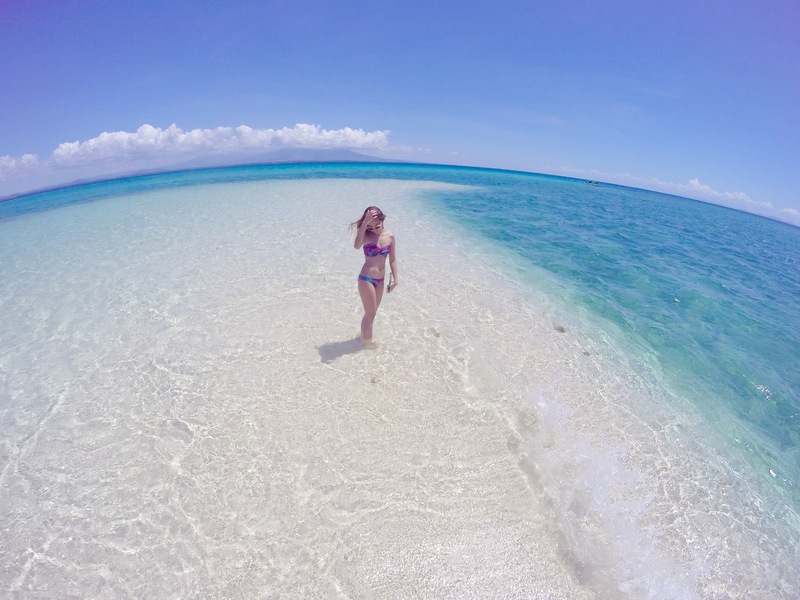 I am going crazy, seriously 🙂 Never seen so much crystal-clear water in my life. You are lucky. I will try to come next year. Thank you for such an in-depth rundown of budgeting. 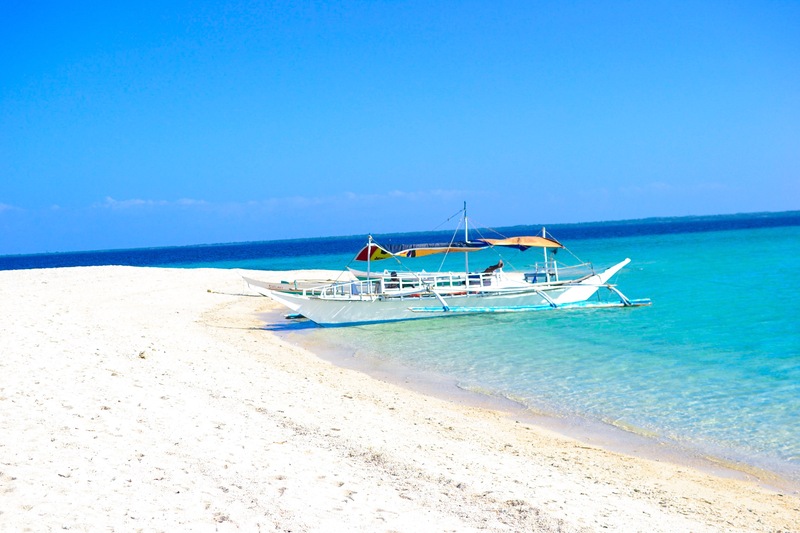 The reef is awesomely inviting and Negros beaches has a lot to offer. yes you should go there! i’m happy i could help!